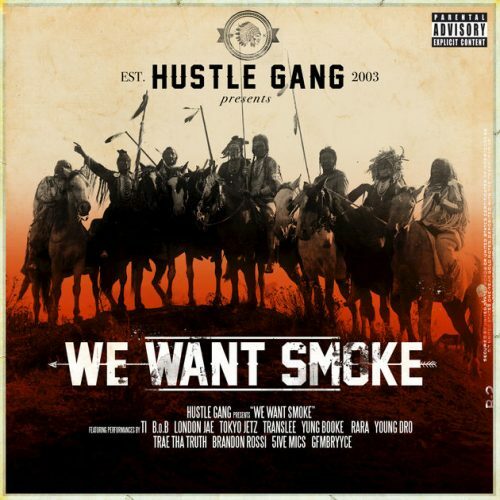 T.I., B.o.B, Translee, Yung Booke, Rara, Young Dro, Trae tha Truth, Brandon Rossi, 5ive Mics, GFMBRYYCE and Tokyo Jetz are all Hustle Gang-members. Today, the crew releases their first studio album We Want Smoke. The project comes with 17 songs.